Offending drivers are facing much higher fines and penalties. The Government has introduced changes to the law to reduce the need for long and costly court procedures in a move that has brought careless driving offences into line with other fixed penalties of a non motoring nature. However, drivers will still have the opportunity to appeal against any decision should they wish to through the courts. Serious driving offences will continue to be handled through the court system. 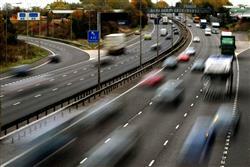 The government introduced fixed on-the-spot penalties for careless driving offences in July 2013. Police can now issue £100 fines and three points on driving licences for offences that would have previously required a motorist to make a court appearance. This means that motorway tailgaters and middle-lane hoggers now face quick justice from the police by the side of the road. Fines have been raised. For instance, fixed penalties for not wearing a seatbelt, or for using and holding a mobile phone whilst driving, have risen from £40 to £100. Those motorists who tailgate vehicles or hog the middle-lane will also find themselves at the wrong end of the law. If caught, they too will face a stiff on-the-spot penalty of £100. Many motorists guilty of careless driving remain unpunished due to all the bureaucratic procedures that surround taking cases to court. Drivers must be stopped by the police, a summons has to be issued and then evidence needs to be presented in court. So the Government has made the whole course of action easier for the police so that they can handle careless drivers by enabling police officers to issue on-the-spot fixed penalties, rather than have to go through the costly and time-consuming process of taking offending motorists to court. Most motoring organisations have largely been positive about the changes in the law. At the time of the introduction of these new fixed penalty offences, AA President, Edmund King said: "We are also pleased to see that at long last, new powers and fines will be given to the police to tackle the top three pet hates of drivers - tailgaters, mobile phone abusers and middle lane hogs". RAC Foundation Director, Professor Stephen Glaister said: Anti-social behaviour is as big a problem on the road as it is in wider society. Giving police more discretion to act, and freeing up resources to allow them to do so by cutting procedural delays in court, is good news. Raising the fine level to £100 is justifiable to tackle the plague of handheld phone use which slows drivers' reaction times even more than being at the drink-drive limit or taking cannabis. However, the Institute of Advanced Motorists (IAM) are quite as supportive of the changes. The organisation has concerns about the message that could be construed by the revisions to the law. Neil Grieg, Director of Policy at the IAM commented: This is a major change in traffic law enforcement and the IAM is concerned that issuing fixed penalty tickets for careless driving downplays the seriousness of the offence. Careless covers a wide range of poor to reckless driving behaviour that often merits further investigation. This could free up traffic police and allow them time to maintain a higher profile. But without traffic cops out on the road to enforce this new approach it will have little impact on road safety.